To simplify things, I use this one reference list for all of my population data articles. A reference number in any of my articles corresponds with a number below. You can view all of the related articles here. 2. U.S. Bureau of the Census (1790-2010). Data sheets: Complete List; Urban Centres that have Ranked within the Top One-Hundred from 1790-1990. 1800; 1900; 2010 (p. 764); Related Wikipedia article. 4. United States Office of Education, (1878). Annual Report. Washington, D.C.: U.S. Government Printing Office. Retrieved from Google Books. 9. Rand McNally and Company. (1903). Rand McNally & Co.'s Enlarged Business Atlas and Shippers' Guide. Chicago, Illinois: Rand McNally and Company. Retrieved from the David Rumsey Collection. 10. Library and Archives Canada. (1851, 1901). 1901 Census. Retrieved from Automated Genealogy and OGS. 11. British Columbia: Bureau of Provincial Information. (1902). Populations of British Colombia (1901) according to electoral divisions. Retrieved from Malaspina University-College. 12. Melish, J. (1814). A New Juvenile Atlas, And Familiar Introduction To The Use Of Maps. Philadelphia, Pennsylvania: Palmer, G. Retrieved from the David Rumsey Collection. Page with county seats of England & Wales. 14. Bartholomew, J. G. (1899-1905). J. G. Bartholomew & Son, Half relief map of UK II. London, England: ? Retrieved from National Library of Scotland: All sheets stitched (historic map overlay selection on left panel), Index of individual sheets. Also available on: Google Maps (searchable overlay). 15. Ordnance Survey Office. (1885-1900). 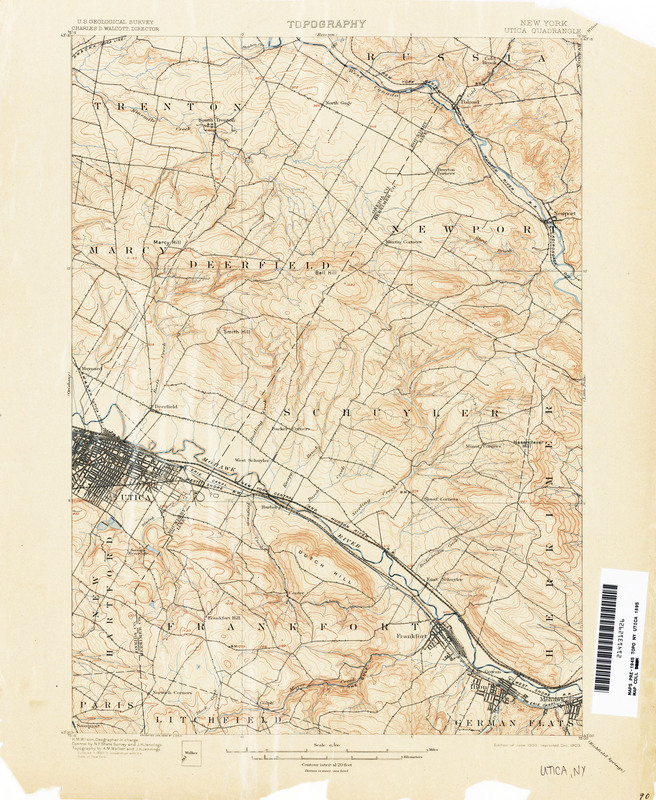 Ordnance Survey Maps One-Inch 2nd Edition, Scotland, 1885-1900. Southampton, England: Ordnance Survey Office. Retrieved from the National Library of Scotland: All sheets stitched (historic map overlay selection on left panel), Index of individual sheets. Other versions (England & Wales only): Google Maps and the David Rumsey Collection. 17. Ordnance Survey Office. (1896). Composite: London 753 Sheets. Southampton, England: Ordnance Survey Office. Retrieved from the David Rumsey Collection. 19. Library and Archives Canada. Fourth Census of Canada, 1901. Ottawa Ontario: Ottawa Census Office. Retrieved from Library and Archives Canada. 20. Downs, E. A., and Walker, G. H. and Co. (1899). Boston 1899 Bird's Eye View 17x24. Retrieved from Big Map Blog. 21. The Poole Bro's. 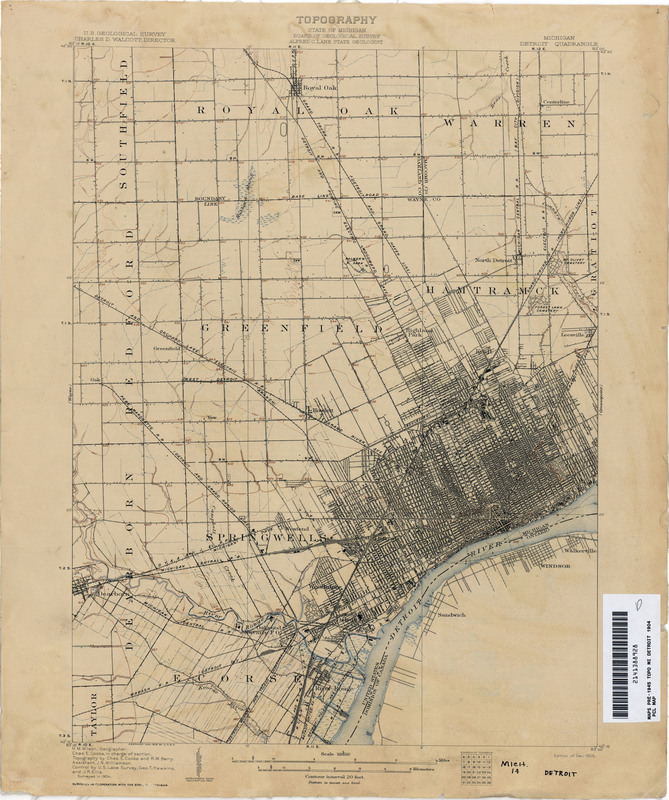 (1898) Bird's-Eye View of the Business District of Chicago. Retrieved from Big Map Blog. 22. Currier and Ives. (c. 1885). The Great East River Suspension Bridge. 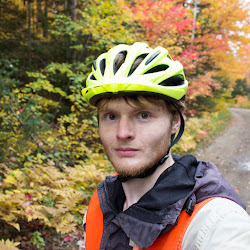 Retrieved from the Big Map Blog. 23. Burk and Mcfetridge. (1886). Philadelphia in 1886. Retrieved from the Big Map Blog. 24. Colton, G. W. (1856) The United States of America. Retrieved from the David Rumsey Collection. 25. Abrams, L., & Brown, C. G. (2010). A history of everyday life in twentieth century Scotland. Edinburgh, Scotland: Edinburgh University Press Ltd. Retrieved from Google Books. 26. Candler, T. (1974). Four Thousand Years of Urban Growth. St. David's University Press. 27. Stanford, E. (1900). Stanford's library map of the world on Merctor's projection. Retrieved from the David Rumsey Collection. 31. Dominion Publishing Company. (1899). 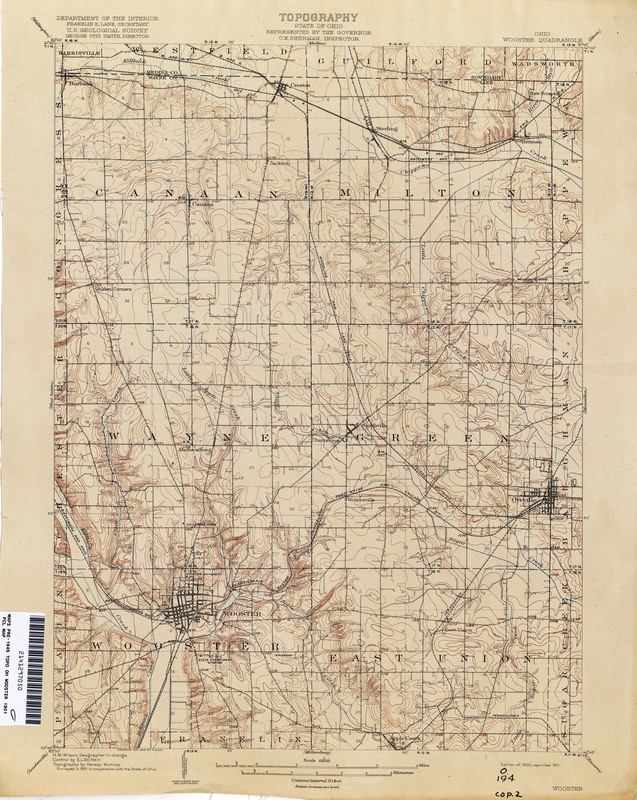 The Canadian Dominion Survey , With Distances, A New Railway, Post-Office,Township and Precinct Map Of Ontario and Quebec. Hamilton Ontario: Dominion Publishing Company. Retrieved from the David Rumsey Collection. 32. United States War Department Puerto Rico Census Office. (1899). Report on the census of Puerto Rico 1900. Retrieved from the University of California Libraries. 33. The Times Atlas. (1900). North America. London, United Kingdom: Office of the Times. Retrieved from the David Rumsey Collection. 34. Bélanger, C. (2000). Les Régions Métropolitaines de Recensement. Retrieved from Marianopolis College. 35. Cartier, G. (2014). City of Québec 1608-2008: 400 years of censuses. Retrieved from Statistics Canada. 36. Glasgow Centre for Population Health. Population Estimates (1801-2013). Retrieved from Understanding Glasgow. 38. Devine, T. M. (1996). Glasgow: 1830-1912. Manchester University Press. Retrieved from Google Books. 40. Flood, J. The Case of Sydney, Australia. Urban Resources. Retrieved from University College London. 41. Spearritt, P. (1999). Sydney's Century. UNSW Press. Retrieved from Google Books. 43. Werribee Mansion by Rexess retrieved 12/08/2014 from Flickr. 44. Varle, C. P. (1802). Philadelphia. Philadelphia, Pennsylvania: Varle, C. P. Retrieved from the David Rumsey Collection. 45. Greater London Council and Office for National Statistics. (2011). London's Population Between 1801-2001. Retrieved from the Greater London Authority. 46. Carey, H. C. (1822). A Complete Historical, Chronological, and Geographical American Atlas. Philadelphia, PA: Carey, H. C., and Lea, I. Retrieved from the David Rumsey Collection: Upper & Lower Canada. 48. National Statistics. (2004). Census 2001: Key Statistics for Urban Areas in England and Wales. Retrieved from the Office for National Statistics. 49. The Argus. (1931). Population of Melbourne. Retrieved from Trove. 50. Population Estimates for Melbourne, Australia, 1950-2015. Retrieved from Mongabay. 52. Noriega, E. (1898). Geografía de la República Mexicana. México Bouret. Retrieved from Dirección General de Bibliotecas. 54. International Bureau of the American Republics. (1892). Bulletin. Washington, DC: U.S. Government Printing Office. Retrieved from Google Books. 55. Slater, B. (2010). Civic pride ran amok with 1900 census. St. Joseph, Missouri: St. Joseph News-Press. Retrieved from Newspressnow. 56. Walker, G. H. (1891). Composite Map of Massachusetts. Boston, Massachusetts: Geo. H. Walker & Co. Retrieved from the David Rumsey Collection. 58. New South Wales Bureau of Statistic and Economics. (1902). A Statistical Account of Australia and New Zealand, 9. 544 Sydney, Australia: Gullick, W. A. Government Printer. Retrieved from the University of Michigan via Google Books. 59. Statistical and Registration Dept, and Johnston, R. M. (1903). General report on the ninth census of Tasmania. Hobart, Australia: Vail, J. Government Printer. Retrieved from Google Books. 60. Queensland Parliament Legislative Assembly. (1902). Parliamentary Papers, 2. Brisbane, Australia: Vaughan, G. A. Government Printer. Retrieved from the New York Public Library via Google Books. 61. Victoria Office of the Government. (1902). Statistical Register of the Colony of Victoria. Melbourne, Australia: Brian, R. S. Government Printer. Retrieved from Princeton University via Google Books. 62. Great Britain Emigrants' Information Office. (1908). Handbook. ... London, England: Darling & son Ltd. Retrieved from the University of Michigan via Google Books. 63. New South Wales Bureau of Statistics and Economics. (1903). Results of a Census of New South Wales Taken for the Night of the 31st March, 1901, Part 6. Gullick, W. A. Government Printer. Retrieved from the University of Michigan via Google Books. 64. South Australia Parliament. (1902). Proceedings of the Parliament of South Australia, 2. Adelaide, Australia: Bristow, C. E. Government Printer. Retrieved from Google Books. 65. Malcolm, F., Western Australia Census Office. (1904). Seventh Census of Western Australia. Perth, Australia: Watson, W. A. Government Printer. Retrieved fro Princeton University via Google Books. 66. New Zealand Census and Statistics Department. (1901). Statistics of the Colony of New Zealand. Wellington, New Zealand: Mackay, J. Government Printer. Retrieved from the University of Michigan via Google Books. Suburbs page. 68. Ordnance Office. (1937-1961). Ordnance Survey. Chessington, Surrey: Director General of the Ordnance Survey. Retrieved from National Library of Scotland: All sheets stitched (historic map overlay selection on left panel), Index of individual sheets. 69. Cape of Good Hope Census Office. (1905). Result of a Census of the Colony of the Cape of Good Hope. Cape Town, South Africa: Government Printer. Retrieved from the New York Public Library via Google Books. Accessible text version. Complete version via Wikisource. 70. Mäki, H. (2013). Municipal Engineers in South Africa before 1910. Tampere, Finland: Tampere University Press. Retrieved from Tampere University. 72. Rutherford, B. A. (2001) Working the Margins: Black Workers, White Farmers in Postcolonial Zimbabwe. London, United Kingdom: Zed Books. Retrieved from Google Books. 73. Czech Statistical Office (2006). Historical Lexicon of the Municipalities of the Czech Republic (1869-2005). Prague, Czech Republic: Czech Statistical Office. Retrieved from the Czech Statistical Office. 74. Darby, W., & Dwight, T. (1833). A New Gazetteer of the United States of America. Hartford, Connecticut, United States: Edward Hopkins. Retrieved from Google Books. 75. Haskel, D., & Smith, J. C. (1843). A Complete Descriptive and Statistical Gazetteer of the United States of America. New York City, New York: Sherman & Smith. Retrieved from Google Books. 76. Disturnell, J. (1845). The New-York State Register for 1845. Albany, New York: C. Van Benthuysen and Co. Retrieved from Google Books. 77. Rand McNally and Company. (1897). Rand McNally & Co.'s Indexed Atlas of the World. Chicago, Illinois: Rand McNally and Company. Retrieved from the David Rumsey Collection. Maps: Massachusetts. 78. Walker, G. H., Walker, O. W. (1891). Atlas of Massachusetts. Boston Massachusetts: Geo. H. Walker & Co. Retrieved from the David Rumsey Collection. Composite. 79. Brown & Parsons. (1847). Map of Massachusetts, Rhode Island, and Connecticut. Hartford, Connecticut: Brown & Parsons. Retrieved from the David Rumsey Collection. 80. Mitchell, S. A. (1845). 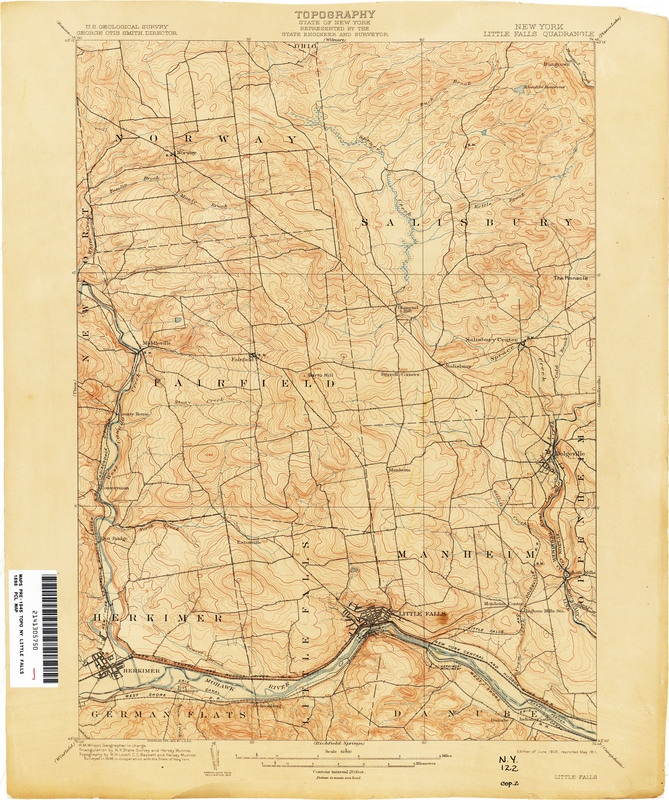 An Accompaniment to Mitchell's Reference and Distance Map of the United States. Philadelphia, Pennsylvania: S. Augustus Mitchell. Retrieved from Google Books. 81. Mitchell, S. A. (1837). An Accompaniment to Mitchell's Map of the World. Philadelphia, Pennsylvania: Hinman and Dutton. Retrieved from Google Books. 82. Phelps, H. (1853). Phelps' Hundred Cities and Large Towns of America. New York City, New York: Phelps, Fanning, & Co. Retrieved from Google Books. 84. Australian Bureau of Statistics. Retrieved from their website. 86. France. Ministère de l'intérieur. (1882). Dénombrement de la population. 1881. Paris, France: Imprimerie Nationale. p. 140. Retrieved from Google Books. 87. Statistics Canada. (1973). Population. Cities, Towns, Villages, Census Metropolitan Areas, and Census Agglomerations. Retrieved from Books Now. 88. Statistics Canada. (1992). Census Divisions and Census Subdivisions. Ottawa, Ontario. Retrieved from Statistics Canada. If you'd like to help support me, my family, and projects which is the work you see here, you can become a patron to my work on Patreon. Creative Commons - Attribution, Noncommercial. Powered by Blogger.